“You do not wish to dance?” he says, eyes wide. His accent is silvery, melodic. Also hot. I look at him as I try to appraise whether or not he’s making fun of me, but his face is unreadable. Also I can’t look at it for long or I might get hypnotized. “Riiight,” I say. We wait in silence, watching the other dancers ahead of us. When we reach the front of the line I see our two reflections–dark and light–in the mirrors that run along the entire front wall of the studio and decide they are complementary. At least it’s nice to have a tall partner for a change; my opportunity to dance with someone my size is limited because I dwarf several of the other boys in the room. I start to move and feel his hands firmly on my hips. His breath warms the back of my neck and I feel myself flush. Normally I’d take a glimpse in the mirror to make sure my alignment is perfect, but I don’t dare. For reasons I don’t want to admit to myself, I feel nervous and jittery. We face each other and he offers his hand as I come into arabesque. He starts the slow promenade and I chance a quick glimpse at his face. He smiles and I catch my breath. I switch my gaze over to his shoulder and notice that my palm is slick with sweat. I’m so embarrassed I feel heat in the tips of my ears. I pray my face isn’t bright red. New York City has long been associated with glamour and all of the perks that come with a big city lifestyle; it’s also one of the most major hubs in the world for the arts, which means anyone who’s serious about a dance career knows they need to be there. I came to New York City when I was fourteen, leaving my home, my family and my friends behind after I received an invitation to become a full-time student at the School of American Ballet. I’d already spent the past two summers commuting into the city everyday to attend the Summer Intensive at the School of American Ballet, but it was thrilling to take the next step with my ballet career and move to New York. For the next four years, I lived and breathed ballet in the Big City, with all of its perks and challenges. I had a lot to figure out at first, like how the city was laid out (did Madison come after Park Avenue, or was it the other way around?) and which bus went where. I had to find a way to squeeze school into my busy ballet schedule (I spent a lot of time running back and forth multiple times per day across the half-mile between school and ballet) and finding a place to live that was both convenient and affordable was even more challenging (think lots and lots of roommates). But eventually I fine-tuned all the details and my life existed in a one-mile radius on the Upper West Side, with Lincoln Center and the School of American Ballet at the heart of it all. Those years in New York were an incredible time of growth for me, both as a dancer and as a human being, a pivotal period that shaped so much of who I am today. There were fun discoveries, like finding the best breakfast spots (especially the delicious super-sized muffins at the deli two blocks from my apartment), trying coffee for the first time (hated it), and exploring the city with friends during rare free moments. Mostly, there was a lot of work, both in ballet class and the rest of my waking hours (school, Pilates strengthening classes, homework, sewing pointe shoes…). Most of all, it was a glorious inspiration to walk past Lincoln Center most days and dream about dancing with New York City Ballet some day. Occasionally I got to attend performances of New York City Ballet when I worked at the gala events. Those evenings, everything in life felt magical. Wealthy patrons shimmered in exquisite gowns, the top dancers of New York City glittered like the stars they were, and the Lincoln Center fountain sprayed liquid diamonds all night long. 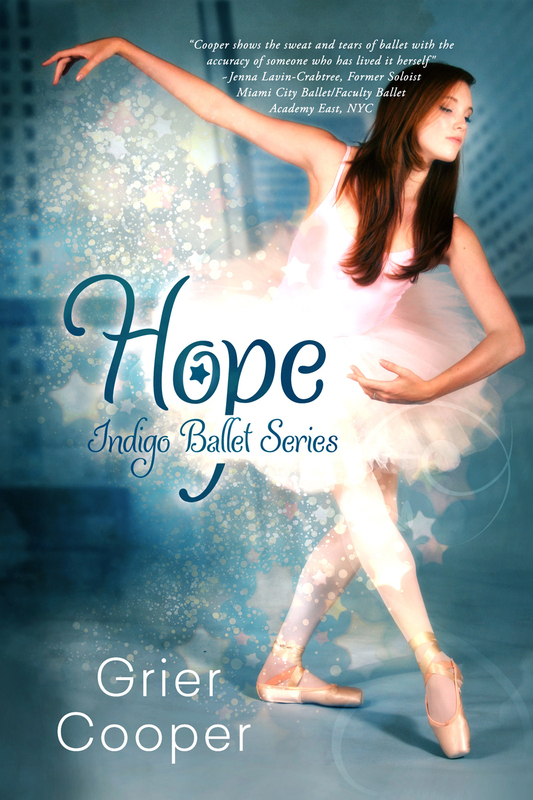 When I started writing the Indigo Ballet Series, I knew these were things I wanted to share with readers. Even though it’s been many years since I experienced that part of my life, most of it lives on in my memory in crystal-clear detail. There were a few things I needed to clarify, however, so while I was in New York City a few years ago I took the time to revisit the Upper West Side and see the places where I spent my teens. I walked the halls of the School of American Ballet (now in a completely different building than it was in my day), photographed my old apartment buildings and other landmarks I remembered and walked around Lincoln Center. The area is a little glitzier than it used to be, but a lot of it remains the same. They say you never forget your first love. I suppose that’s why New York lives on in my heart. She writes and blogs about dance in the San Francisco Bay Area and has interviewed and photographed a diverse collection dancers and performers including Clive Owen, Nicole Kidman, Glen Allen Sims and Jessica Sutta. 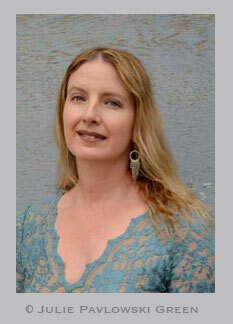 She is the author of the Indigo Dreams ballet fiction series for young adults and The Daily Book of Photography. 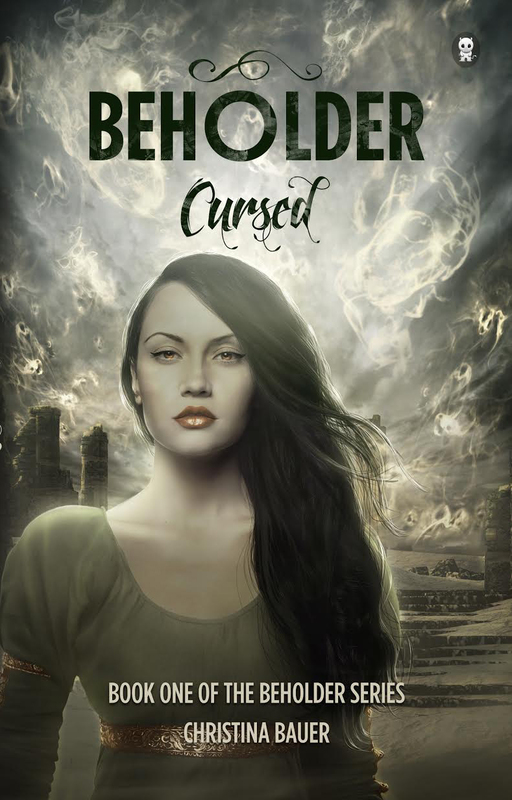 Grier Cooper will be awarding a $20 Amazon/BN GC to a randomly drawn winner via rafflecopter during the tour, and a $10 Amazon/BN GC to a randomly drawn host. In case you didn’t realize it, I’m a big kid at Christmas. I honestly think I’m a bigger kid than my girls. I decorate almost every room in the house. I bake for the neighbors. I’m hoping to go Christmas caroling next month. Oh, Christmas carols are an all year thing around this house. If it weren’t for the cats, I’m pretty sure I would leave the Christmas trees up all year round, too. Seasonal books are another great way to get into the holiday spirit–not that mine is lacking, but it’s a good excuse to buy books. 🙂 Here are some of my favorite Christmas children’s books. 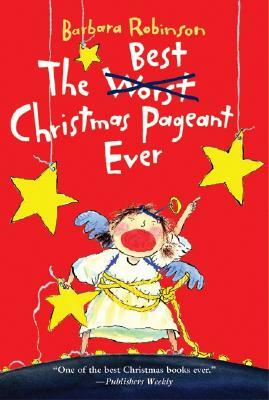 When my son was a kid (and that’s many years ago), he had to read The Best Christmas Pageant Ever by Barbara Robinson. It is the story of the Herdmans, who are not exactly the kind of kids you want yours emulating. They lie, cheat, and steal. There had never heard of Christmas before, but they end up getting involved in the Christmas pageant at church with some hilarious results. 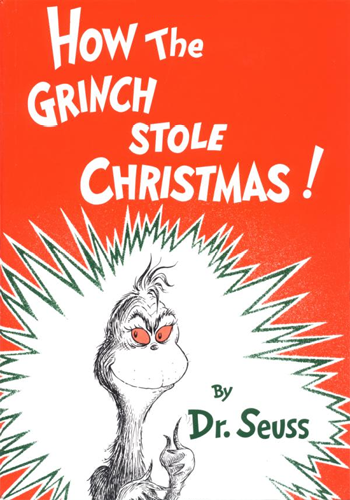 How The Grinch Stole Christmas by Dr. Seuss is a holiday staple. In the years it has been on TV, I’ve not missed it–the original animated version, not the movie version. If Dr. Seuss didn’t think readers needed to know the Grinch’s history of how he became so sour, then Ron Howard and his writers didn’t need to create one. I love the story of the green, miserly Grinch with the heart two sizes too small. My son and I read this one together for years, then it was my girls’ turn. As a child, even more than A Christmas Carol by Charles Dickens, this book revealed to me there is evil in this world, or at least grumpy people who for one reason or another cut themselves off from the joy of Christmas. Perhaps that’s why the Grinch’s transformation is so thrilling to me. Just like Ebeneezer Scrooge, Christmas works its magic on the Grinch and he’s pulled into all the joy it can bring. I sometimes wonder if Clement Clarke Moore had any idea that his poem, “A Visit from St. Nicholas” would entertain generations of families for centuries. 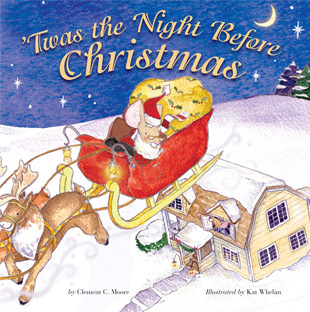 More commonly know-at least around here–as “‘Twas the Night Before Christmas,’ this poem shares the story of a father who witnesses the jolly old elf visiting his house on Christmas Eve. It has been used to create magical story books featuring humans and animals alike as the characters of this story, in addition to several television movies. The Little House series by Laura Ingalls Wilder has long been a favorite of mine. Most of the books have at least one Christmas featured in them–if not all of them. The publishers pulled out the Christmas stories from the set and featured them in two large hardcovers. From Christmas in the Big Woods of Wisconsin to the day Mr. Edwards delivered presents so that Santa didn’t have to cross the creek, to the chapters of Christmas on Plum Creek where Laura received red mittens, the white china box, and the fur cape and muff off the tree at church, each story is just as special as when you first read it in the Little House books. The illustrations by Garth Williams have been colorized to make this book an extra special treat for Little House fans, and also includes the words and music to Merry, Merry Christmas! by Mrs. T.J. Cook. 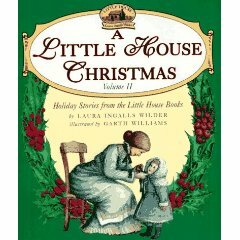 While A Little House Christmas shares the Christmas stories of Laura’s early days, A Little House Christmas, Volume II travels east to Malone, New York to share the story of Christmas at the Wilder farm when Almanzo was a boy and the aunts and uncles and cousins were coming to dinner. Then the book travels to the shores of Silver Lake, where Laura and her family are living in the surveyor’s house, and on to Christmas in De Smet, SD, where the blizzards seem like they will never end and the trains won’t run again until spring. And finally, we get to read the story of Almanzo’s surprise return visit on Christmas Eve in These Happy Golden Years. I hope you’ve enjoyed the short return to my childhood. I hope you’ll share some of your Christmas favorites, too. 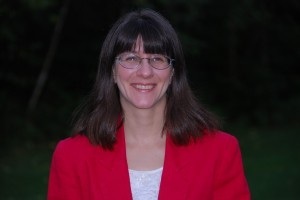 Cheryl Malandrinos is a children’s author and freelance editor. She is the author of Little Shepherd, released by Guardian Angel Publishing, and A Christmas Kindness, released by 4RV Publishing, under her pen name, C.C. Gevry. A digital version of A Christmas Kindness will be released in 2013. 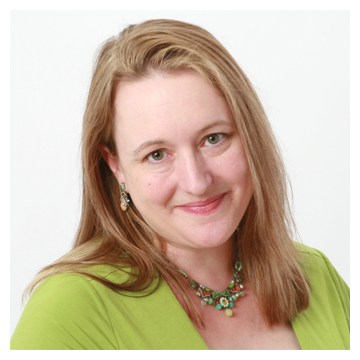 Since 2007, Cheryl has been an online book publicist specializing in virtual book tours. 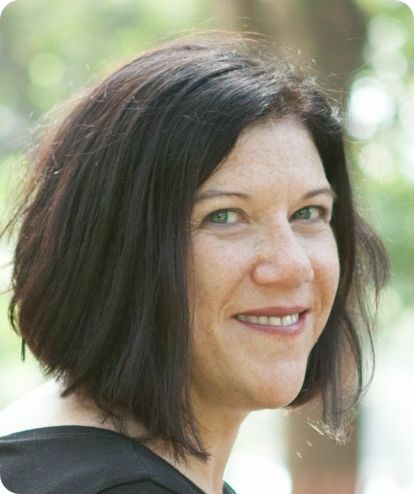 She is a member of the SCBWI, a book reviewer, and blogger. Ms. Malandrinos lives in Western Massachusetts with her husband and two children. She also has a son who is married. Visit her online at http://ccmalandrinos.com/ or http://ccgevry.com/. Pump Up Your Book and Cheryl Malandrinos are giving you the chance to win a set of 2 Little Shepherd mugs. Use the Rafflecopter form below for your chance to enter. Bloggers participating in this tour are eligible to enter and win. Giveaway runs from 12:00 AM EST on 11/4/13 and concludes at 12:00 AM EST on 11/30/2013. By entering you certify you are 18 years of age or older and reside in the United States or Canada. Winner will be notified by email on 12/2/2013 and have 72 hours to respond with mailing address. Prize will be shipped directly from the author to the winner via USPS. Blogs participating in this book tour are not responsible for items lost or damaged in shipment. Book review at Margo Dill’s Read These Books and Use Them! Radio interview at Stories from Unknown Authors at 1 PM. Ready for a new adventure? Are you a fan of fantasy, young adult, science fiction and action stories? Magnus, the runt of a litter of Shade Wolves, wants nothing more than to be a loyal, strong member of the pack. But when an ancient enemy threatens his friends and family, he faces a choice that could tear him from all he’s known and loved. Born in captivity, the giant panther Kelor knows nothing but suffering and loss. He struggles to find his place in this world of terror, and he battles to protect his family without succumbing to the darkness lurking inside him. Falling captive to the evil Warden, the two are forced to fight in the battle of the beasts known as ‘The Trail of Bones’. How will Kelor and Magnus learn to work together? How will they escape a fate of despair and death? How will their choices affect their comrades? Their enemies? And the forgotten magic that could doom all life of their world? A fun, exciting, clean read for teens, young adults, adults and readers of all ages. Pick up your copy of this fantasy adventure today! Are you a fan of J.R.R. Tolkien, C.S. Lewis, Robert Jordan, Orson Scott Card, Jim Butcher and other fantasy and science fiction authors? You’ll feel right at home with Trail of Bones. This fantasy story offers a strong moral message, suspense, action, and mystery, in a world full of magic, unlikely heroes, and devious villains. A fantasy adventure that features lots of action and intrigue that is geared to a YA audience. There are moments in this tale that are especially well done… story telling at a level that I’d be interested to see what this author would do with an adult orientated fantasy work. As a dedicated YA work… 5 Stars. The beginning of a great adventure! I thoroughly enjoyed reading the first book of the Trail of Bones series. It is an unpredictable adventure, with heartwrenching acts of love and friendship. The story ended before I was prepared to put my Kindle down, and now I will wait anxiously for the second book to be published. In the meantime, I think I’ll read it again with my eleven-year-old son; I’m sure he’ll love it as much as I do. Give it a read! 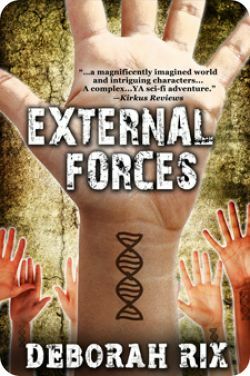 …The characters were some that I will not easily forget because he explains their background in a way that makes the reader really connect and believe they are real. He creates a world that I long to see. I really grew to both love and hate different characters. I think that is a sign of a really great author when they can make us feel so much emotion towards a character. Chris Salisbury has been writing fantasy, science fiction, suspense, and action thrillers for years in independent films. Now he’s expanded his love of good movies, such as Gladiator, Counte of Monte Cristo, Saving Private Ryan, Braveheart, Star Trek, to the world of books. Trail of Bones is the first book in a planned four part fantasy, young adult series targeted at readers of all ages. The father of four enjoys a wide range of interests from scuba diving to softball, coaching basketball to playing Battlefield 3 on his Xbox 360 or NCAA Football with his sons. He is also a big advocate for literacy and reading for young boys. There seem to be few titles that appeal to young boys and young men to hold their attention, trigger their imaginations and create a love of reading. Chris is out to change that. In addition to the Trail of Bones series, he also has a number of other titles in development including historical fiction, action, suspense thrillers, and several science fiction properties. There’s a lot more on the horizon, so enjoy Trail of Bones but be sure to look for more captivating titles from Chris Salisbury in the near future. Jon Thomason lives with his family in San Diego, after many years in the beautiful Seattle area. He has a successful career in high tech where he’s been fortunate enough to participate in many big-name industry releases. You can join the conversation with him at http://facebook.com/MaxXylander or on Twitter at @jonthomason. Thank you for joining us today, Jon. Can you please start off by telling us a bit about yourself? I’m thrilled to be able to call myself a writer. People would ask, and I had a hard time saying it until the novel was real. Finished. And now it is! I have a successful career in the high tech industry, where I’ve been able to use my creative side more than you’d stereotypically think. But books have always been a passion for me, as is storytelling. I’ve written a number of stories over the years, but this is my first attempt at novel-length fiction. I don’t remember exactly, but it was very young. My mother taught me to read at an exceptionally young age, and I have always read anything and everything I could get my hands on. Perhaps it’s ego, but I would say to myself, “I could do this.” So, I’d write my own stories. But it wasn’t until I took some extended time off work that I got serious and tackled something novel-length. Why did you decide to write stories for this market? Like I mentioned, I have never been able to escape the feeling of being a kid. So, writing where I could pretend to still be one is the most natural thing ever. My favorite part of writing for middle grade is that you can add in some goofy things that would make a kid laugh. The book doesn’t have to be so terribly serious and uptight. The biggest challenge for me is restricting vocabulary and making sure the concepts don’t go over the head of the middle grade reader. What I try to do is make sure that the story elements are layered. The lower-end of the middle grade readers see one level, but the upper end (and adults) see something deeper. That’s what I strive to do across the board to span the range of readers. Shhh! I shouldn’t tell you this, Max Xylander and the Island of Zumuruud is not fiction. They got to it and spun everything I wrote to sound like a novel, but it’s not. It’s all true. I’ve been there. To Zumuruud, that is. I can’t tell you much about it here, but it blows your mind. I’ve met Max. She’s good-hearted, but don’t get on her bad side! I saw Philip once on his skatecarpet getting chased by some men in long black coats, but I bolted. I want nothing to do with that action. In real life, people think of me as your average, boring, high-tech engineer. Little do they know of my secrets. I’m just afraid one day I’ll slip and my jinni powers will be discovered…and I’ll be taken and experimented on by the guys in white coats and long syringes. Gulp. Just read the book. It will explain everything. And remember: shhh! I am a vivid daydreamer. I have loved to read from quite a young age and always imagined what it would be like to be able to do magic–really do the magic. What would it feel like to make something across the room move? Or what would it be like to play a trick on an unsuspecting classmate? 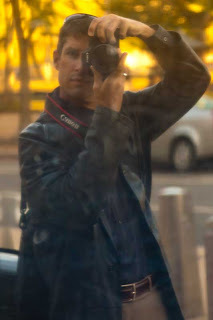 While I love creatively constructed worlds, I’m generally more interested in things happening just next door. The idea of intrigue and conspiracy and hidden things fascinate me. Might there be a shadowy group pulling the strings somewhere? Powerful people behind the scenes? And then one of our children had a form of leukemia as a child, and the powerlessness of this gave way to the idea of good from evil, and of being transformed. I’m also well acquainted with anger management issues of the teen female, and contrite, bland dialogue, just doesn’t work. Throw in some cynical sarcasm from our villain, and the story just poured out. 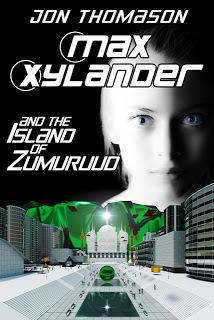 Max Xylander and the Island of Zumuruud is available on Amazon.com both as a paperback and as an Amazon Kindle e-book. An easy way to find it is to go to Amazon.com/author/jonthomason. It’s so energizing hearing all the positive feedback! The reason I like to write is to be able to share stories with other people, and to hear that people actually like the story and are begging for the sequel makes me feel great and propels the work on the remainder of the trilogy. Thank you for spending time with us today, Jon. We wish you much success. And thank you for listening and for the opportunity to share my book with your readers! GIVEAWAY! 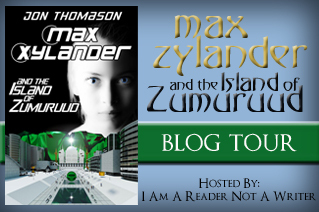 Visit the book’s tour page at http://www.bookblasttours.com/2013/01/max-xylander-and-island-of-zumuruud.html for details on how you can enter to win great prizes!